For more than 60 years Wagner Machine Inc. has delivered quality products to its customers. 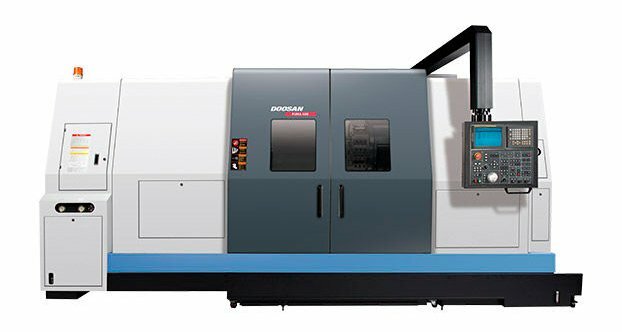 Wagner is excited to announce our latest commitment to innovative manufacturing solutions with our newest investment – a Doosan Puma 700 series 2 axis horizontal turning center. This model will increase current capacities, empowering Wagner Machine to manufacture larger parts. More capacity means more ways to help you, our customer. The Puma 700 has a chuck size of 32 inches with the biggest work envelope in its class. It offers the ability to turn diameters up to 36 inches and lengths up to 63 inches. The through spindle is bigger than 7 inches, and its gearbox design provides power and torque that is unparalleled. Inside-outside turning diameters will be handled accurately and efficiently with the CNC programmable tailstock and 12 tool station turret. This turning center is designed for heavy and interrupted cutting, long-term high levels of accuracy while maintaining exceptional surface finishes. The addition of the Puma 700 demonstrates Wagner Machine’s dedication to quality, growth, and will expand our capabilities to meet the challenging and innovative customer demands for precision parts. Official start-up for our new turning center is set for October 2018. Combined with our skilled workforce we will continue to promote American manufacturing development.